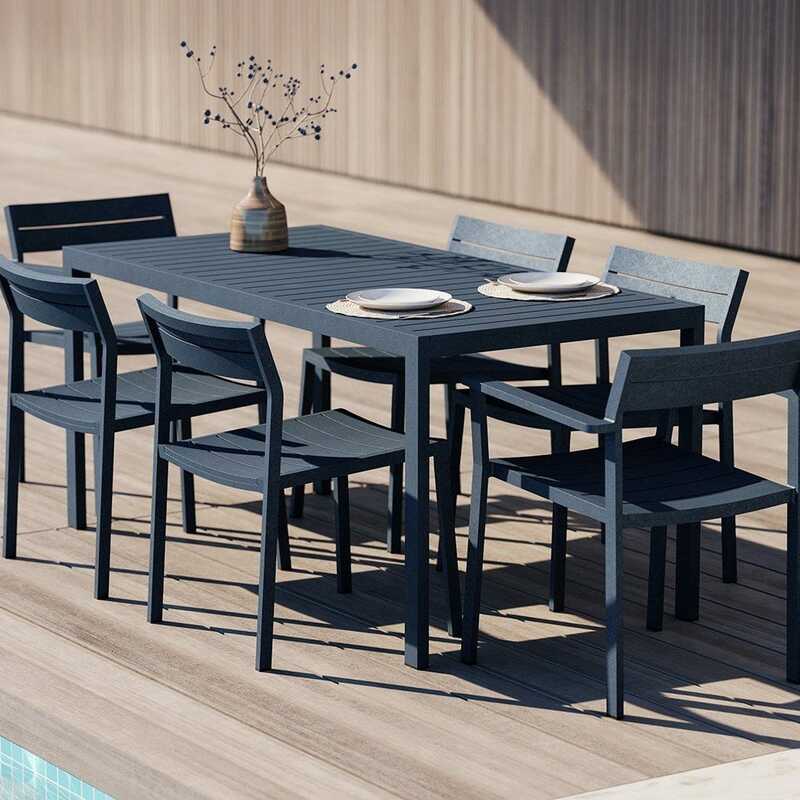 The Eos Garden range by Matthew Hilton is a contemporary collection of outdoor furniture with all the characteristics of a Hilton design: modern, sleek and beautiful. Constructed from powder-coated aluminium that won’t rust over time, the range is lightweight - both literally and visually – making it a low maintenance addition to any garden or outdoor space. The Eos Outdoor Garden Range was awarded the prestigious Design Guild Mark Award in 2016 and is available as a side chair, lounge chair, table, bench, side table, square table, bar stool, bar table, cafe table and sun lounger.